Learn how to make a DIY floor lamp Christmas tree that makes a unique, minimalist alternative to a real Christmas tree this holiday season. 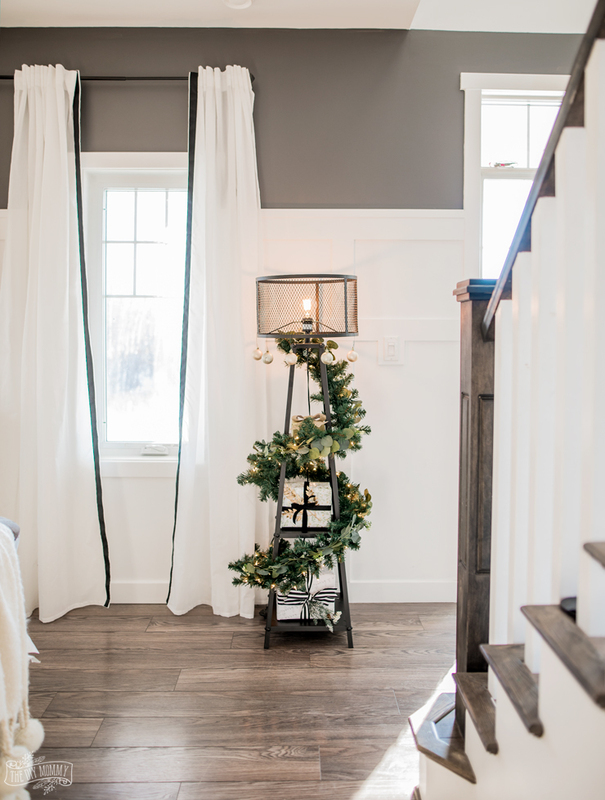 This week, my friends at The Brick have launched their Winter 2018 My Brick Home catalogue filled with tons of decor and DIY ideas for the season. 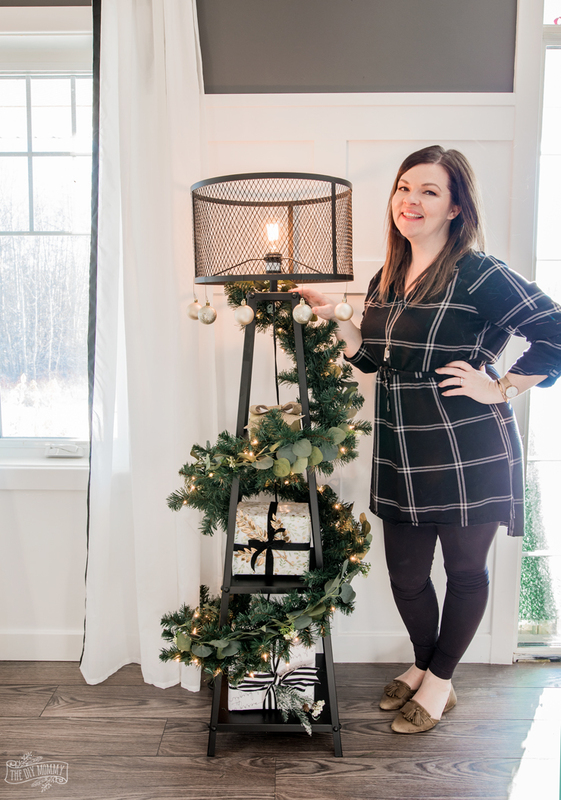 Read on to see me take on one of the DIY projects featured in the catalogue and how you can win a grand prize home shopping spree (up to $36,000) PLUS an e-design consultation with Kortney Wilson! 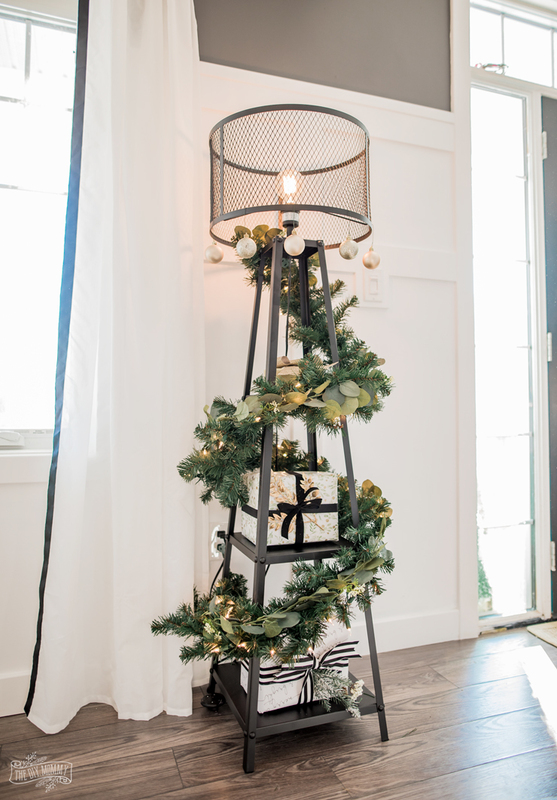 This week, I’m re-creating this unique, minimalist Christmas tree featuring the Brycen floor lamp from The Brick. I love the industrial look of this floor lamp with its cage lamp shade and its metal base. It also doubles as extra display storage with its shelves on the stand! 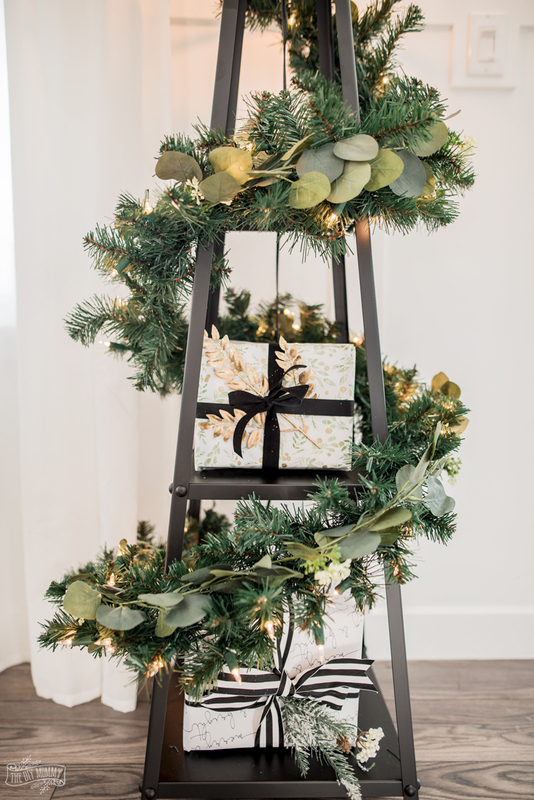 To create this DIY minimalist Christmas tree, I simply wrapped a pre-lit faux greenery garland around the base of the lamp. I also layered in a faux eucalyptus garland in my version for some added texture. 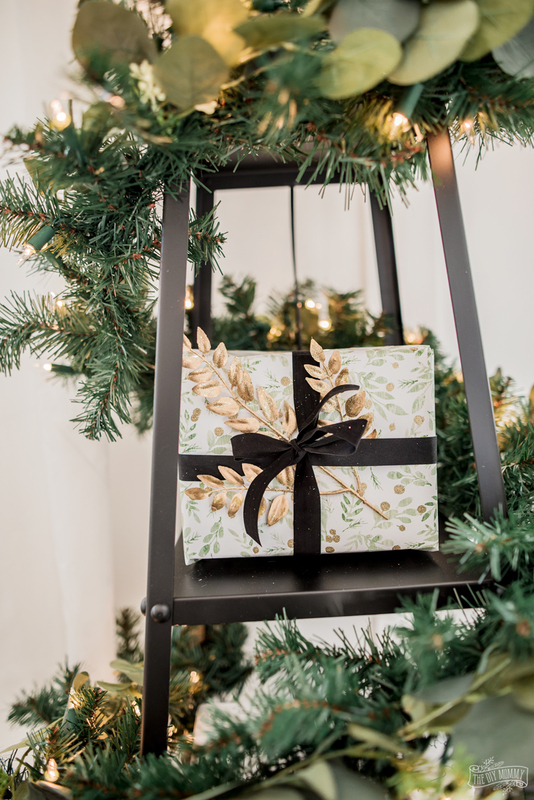 I wrapped a few presents in some glamourous wrapping paper in greens, golds and blacks and placed them on the lamp’s shelves. Some inexpensive, glittery Christmas ball ornaments hanging from the cage lamp shade finished the look. This is a great alternative to a real Christmas tree, or it would also make a lovely decorating in any corner of your holiday home! 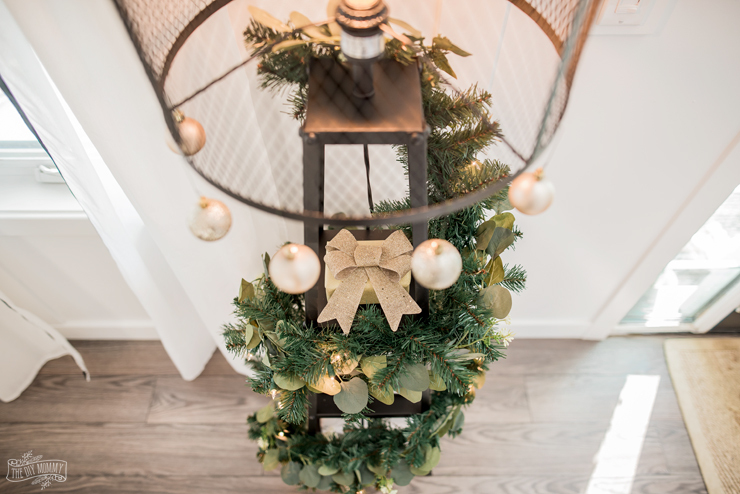 Looking for more DIY & decor inspiration this season? The Brick is excited to launch the Winter 2018 My Brick Home catalogue filled with DIY ideas, decor ideas, and more inspiration for the season. 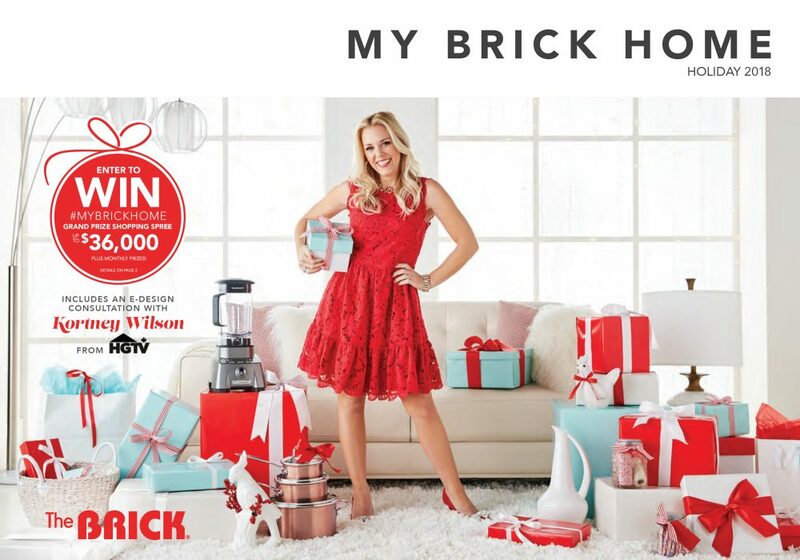 PLUS, they are hosting the #MyBrickHome contest with a grand prize home shopping spree (up to $36,000), PLUS an e-design consultation with Kortney Wilson! Make sure to explore the interactive online catalogue HERE or pick one up in store. Enter for a chance to win a monthly $1,500 Brick Gift Card, plus our grand prize draw for a chance to win a shopping spree (up to $36,000) to furnish your entire home with an e-design consultation from HGTV Canada’s Masters of Flip star Kortney Wilson! Contest ends December 31, 2018 and you can find all of the details right HERE. Happy decorating, and good luck!